MAINE WREATH AND FLOWER has been a staple in freeport, MAINE for over 37 years! 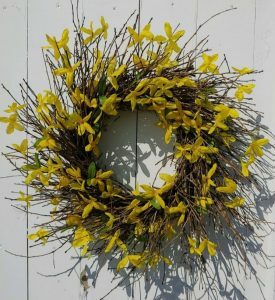 WE OFFER HANDCRAFTED WREATHS for all seasons, UNIQUE GIFTS FOR THE HOME & GARDEN, FRESH AND DRIED FLOWERS AND SO MUCH MORE! 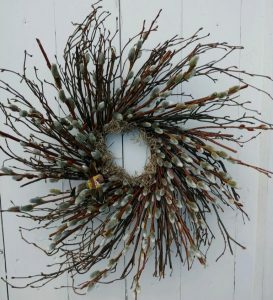 WREATHS ARE A UNIVERSAL SIGN OF HOSPITALITY and we are thrilled to offer a piece of maine into homes all over the country through our one of a kind, handcrafted wreaths! In the early days in Europe, people would put wreaths on their doors to identify their home in the same manner that house numbers are used today. Each house would have a different wreath made of quite exotic flowers most likely grown by the home owner right on their own land. 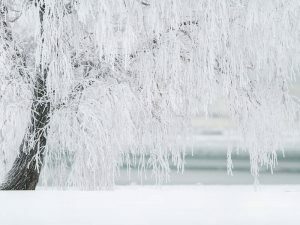 Today, wreaths are a common custom in New England, with a different wreath for each season! made in Maine by Maine people! 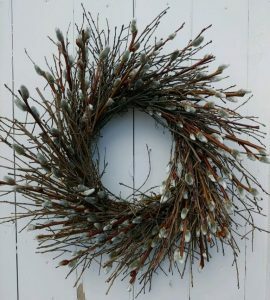 Fresh, silk and dried wreaths for all seasons and styles. Fairy Garden fairies, accessories and collections. 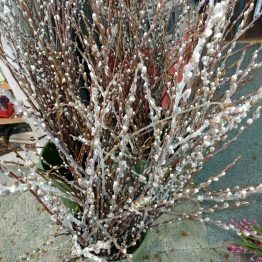 Dried Flowers, Mailbox Covers, Garden Flags & more! Our most popular Balsam, Blueberry & Lavender items! We will always carry balsam wreaths at Christmas time! We have your favorites like handcrafted wreaths, garden flags and mailbox covers, dried flowers & much more! All Fairy Garden Items are 25% off!